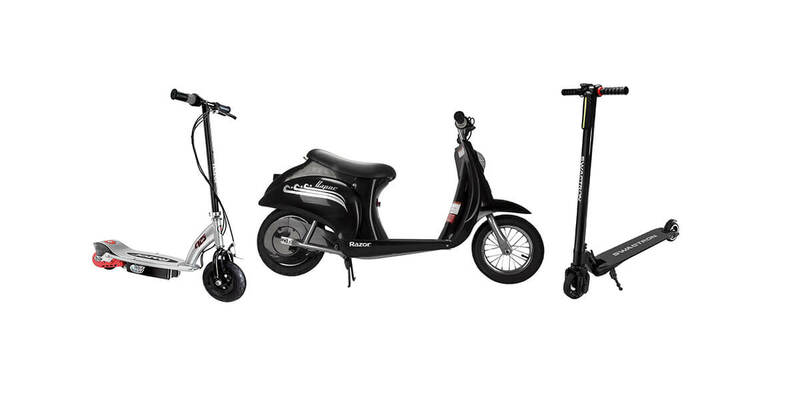 The Speedway Mini 4 Pro and it’s bigger brother, the Speedway IV are part of a series of scooters that are aiming to bring the highest performance possible to an electric scooter. They’re both capable of very high speed and have fantastic range. 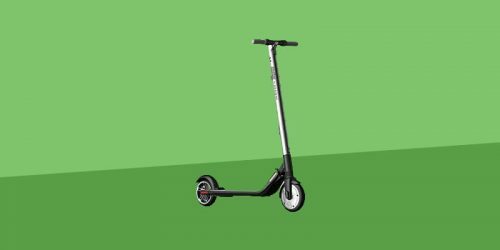 The tops speed of both of them is high enough that they comfortably made it onto our list of the Top 10 Fastest Electric Scooters that you can buy today. Today we’ll look at the baby brother and let you know everything there is to know in our Speedway 4 Mini Pro review. 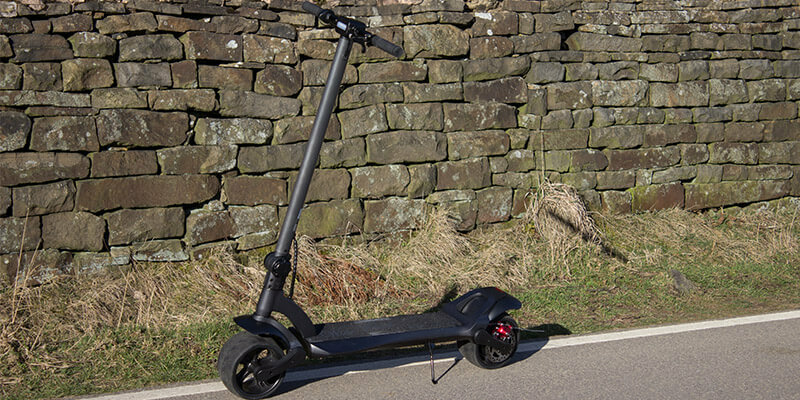 The Speedway Mini 4 Pro has a top speed of around 28 mph and can reach a range of about 40 miles! Yes, 40 miles! Not only does it have impressive performance stats but it also has range of impressive additional features, including a combination of electric and mechanical brakes, full suspension and even headlights and braking lights. The drawbacks are few, the main being the price. But if you do purchase one you can be sure that you’ll be getting one of the fastest and best performing electric scooters on the market. The Mini 4 Pro features a 500W hub motor that is powered by a set of lithium polymer batteries. These batteries are generally lighter and store more energy per cm2 that lithium ion batteries. The batteries used have the following stats: 784Wh, 48V, 15.6Ah. It’s these that give the Mini 4 Pro such incredibly range and speed. The suspension is covered by the use of an air filled tire at the front and a solid rubber rear tire. The Mini 4 Pro also has a shock absorption system to provide additional comfort to the ride. There are 2 headlights on the front of the scooter that greatly help visibility at night. These are mounted on the footpad so they don’t blind other people. There is also a brake light that can help other tell when you’re slowing down. Braking is covered by a manual drum brake at the back that can sometimes become a bit sticky. There is also an electronic braking system at the front that also uses a regenerative system to charge the batteries every time you brake. A nice addition that keeps the battery topped up. 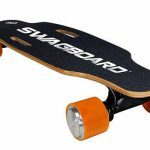 Displays are being used more and more on electric scooters and the Speedway Mini 4 Pro has one of the best we’ve encountered. It shows the battery level, the voltage, the trip distance, odometer, current speed, speed mode and usage time. It also has many functions you can control. For example, you can choose different speed modes that save energy or can give you more power. In addition to this you have a cruise control function, can set slow power start acceleration, have many battery energy saving functions and more. If after a long ride you need to move your Mini 4 Pro around manually there are a few nifty features that have been installed to help with that. There is a very good folding system that can make the scooter fold down into a compact bundle. It’s also very lightweight at just 36 lbs. This is very impressive considering the battery life that is achievable. Speedway have also added some trolley wheels to the end to make it even easier to move around. The Mini 4 Pro also has a kick stand, water resistant body and motors and even has a few accessories. For example, there is a fast charging accessory and an attachable seat. 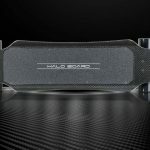 The overall build quality of the Speedway Mini 4 Pro is decent but we feel like this is probably the weakest part of the scooter as a whole. It feels a bit like the build quality was sacrificed for sheer performance. For example, the handle bars and the main verticle frame can have a little bit of play in them. 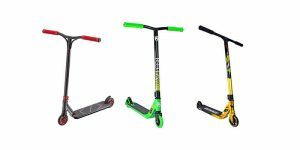 This barely affects the handling and performance of the scooter but is something to be aware of. This also creeps over to the design of the scooter. We don’t think it’s particularly good looking but does have some good design choices. 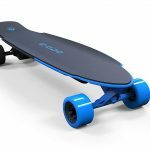 One of the major design choices that has been implemented is that the battery is in the base. 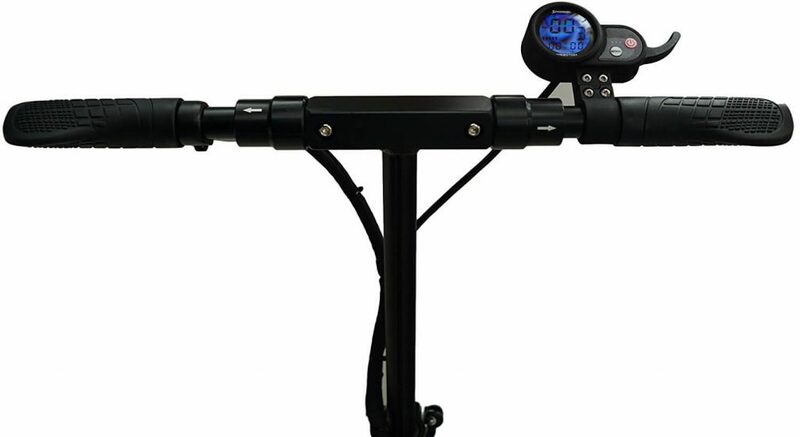 This keep the center of gravity very low which helps with stability and control when riding. We like the design of the display and control system. Whilst it isn’t particularly good looking as it just randomly sticks out of the handle bars, it does have a lot of functionality and is quite intuitive to use. The stand out performance statistics of the Mini 4 Pro are the top speed and the maximum range. The top speed of 28 mph is only really achievable if you’re a fairly lightweight rider and the maximum range of 40 miles is only really achievable if you’re on smooth flat surfaces. But expect to comfortably reach 25 mph and get at least 33 – 35 miles on a single charge. The combination of the suspension system, low center of gravity and the tires give the Mini 4 Pro a surprisingly smooth and controllable ride. It can work on various terrains but definitely is more at home on smooth, flat surfaces such as tarmac. It’s not quite what we would class as an off-road electric scooter but it could manage grass and dirt if it had to. The only negative of the performance is that it can struggle with hills. This is expected with electric scooters, but for the price of the Mini 4 Pro we’d have wanted it to go up any hill with (almost) any rider. We’ve heard reports of people weighing 165 lbs having trouble getting up the steepest of hills without having to help it along with a kick or two. The Performance – The speed and the maximum range of the Speedway Mini 4 Pro are enough to justify buying it alone. 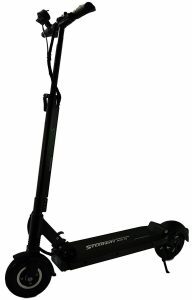 It can comfortably reach 25 mph which is more than fast enough on such a small and low-to-ground vehicle. Not only that, but having the peace of mind that you’ll be able to keep going for 35+ miles is fantastic. This can easily be used for long commutes or simply having a lot of fun. The performance makes it incredibly versatile and we absolutely love that about it. Features – The range of features on the Mini 4 Pro is very impressive. 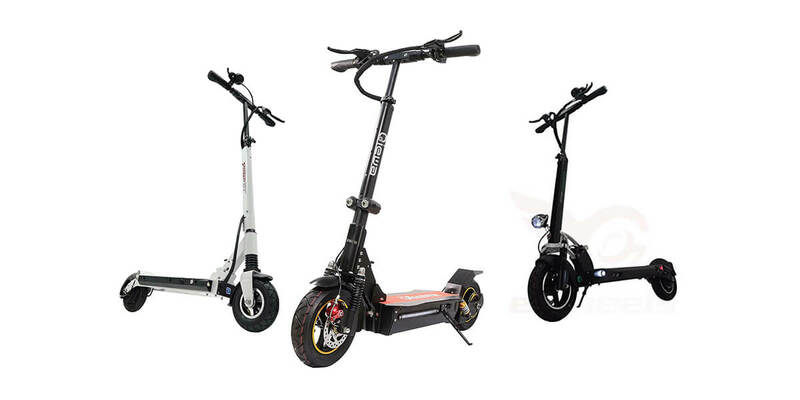 A lot of the cheaper scooters will boast about having only a fraction of the features as the Mini 4 Pro. The folding mechanism work very well, the control system and display are one of the best on the market and having regenerative braking is just the cherry on the cake. 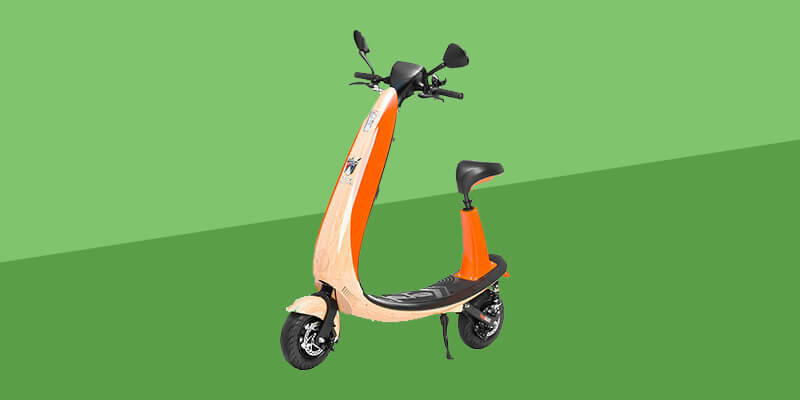 Additional Accessories Available – Having the potential to cut the charging time down or add a seat later just add even more to the versatility of the scooter. Build Quality – The build quality could definitely be better. It’s not bad enough to stop us purchasing it but there are definitely places where the quality could be improved. Hill Climb Ability – Again, this could be better but isn’t bad enough that it would stop us purchasing it. This problem doesn’t exist unless it’s a pretty steep hill so it might not be a problem for most people that buy it. Price – For the Mini 4 Pro you’ll be looking at several hundred dollars. The cheapest we’ve ever seen it is still over 4 times the price of the Razor E300. 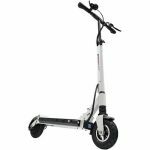 We would recommend the Speedway Mini 4 Pro to anyone that is looking for an enthusiast scooter that’s more than just for commuting. 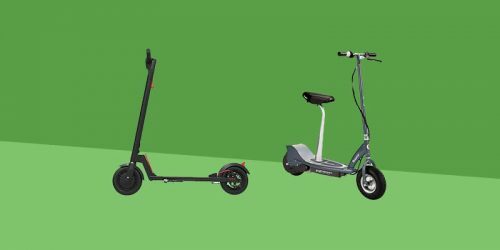 It does make a very good commuter scooter (not quite good enough to make our list – Best Electric Scooters for Commuting) but it really is more than just that. 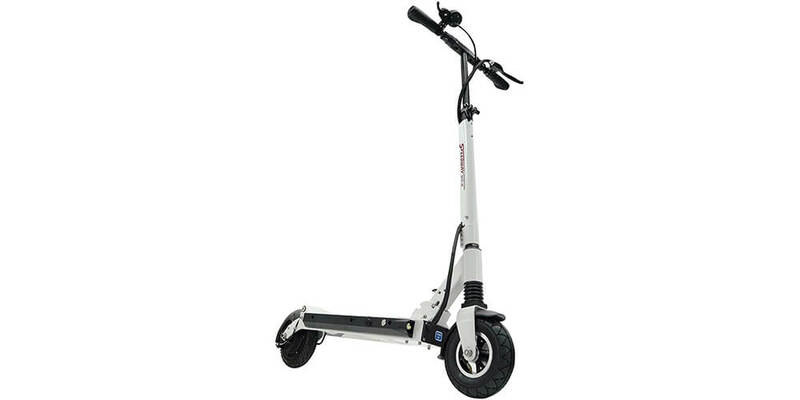 The speed and range mean that you could be having fun on this scooter for hours on end. My Speedway Mini 4 Pro was caught in a rain shower and the engine no longer works properly. I’m on Chiang Mai TH. What do you recommend I do to get it fixed promptly and well?? Hi Lloyd, I’m not familiar with Thailand so can’t really help there. I’d contact eWheels directly using this email address: info@ewheels.com. Or contact the supplier you bought it from. It comes with a 1 year warranty so you might be able to get it replaced or fixed.